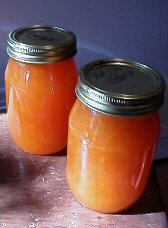 To make jam or jelly you need to purchase pectin. It can be found at your grocery store in both powder and liquid forms. We recommend any of these 3 brands. The only ingredients you need are fruit, sugar and pectin. All of the directions are on the package!